Electric Vehicle Parking Only sign R5-41-5R. 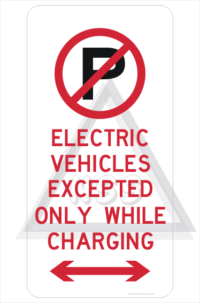 Electric Vehicle parking sign only while they are charging with a right arrow. 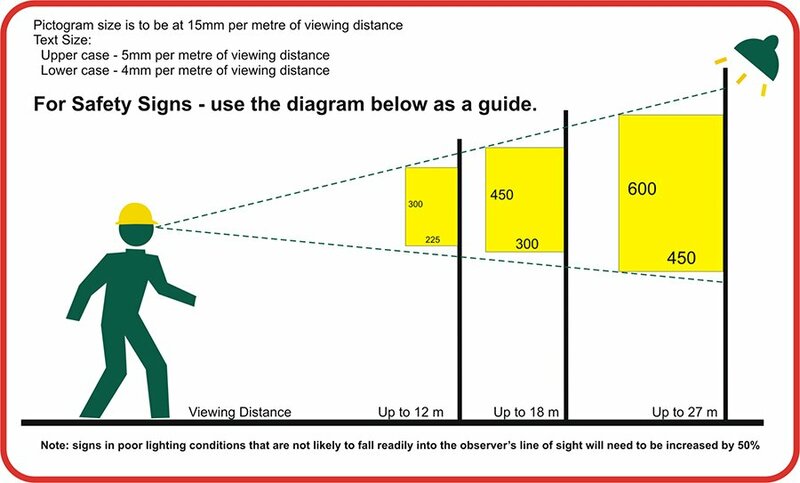 we have the bi-directional arrow and left arrow. 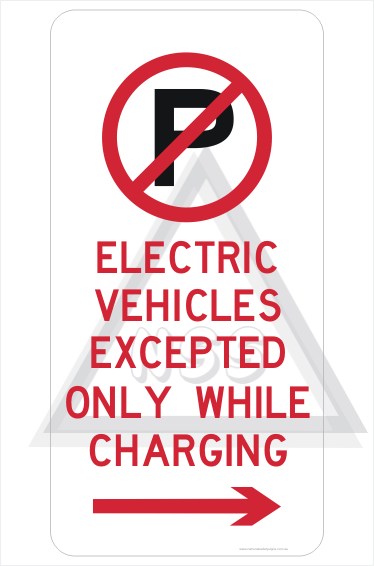 Along with the other EV charging signs, we have this Electric Vehicle Parking Only sign R5-41-5R.